Two brothers who trafficked overseas staff to their Harrogate curry house have had their jail terms increased. Raza Ali Khan, 34, and Shahnawaz Ali Khan, 30, were jailed for three years along with their mother Perveen Khan at Leeds Crown Court earlier this year. On Thursday Raza Khan and his brother Shahnawaz had their sentences increased to four years at the Court of Appeal. 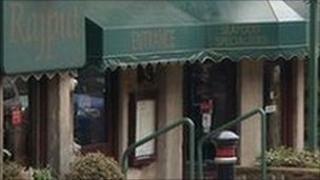 The three from Green Lane, Harrogate, recruited nine men to the Rajput Restaurant, on Cheltenham Parade. At London's Appeal Court, Solicitor General Edward Garnier QC challenged the trio's sentences as far too short for a "persistent campaign of exploitation" against vulnerable victims, including threats, coercion, bullying, restriction of liberty and excessive working hours. And Lord Justice Pitchford agreed that the sentences imposed on Raza and Shahnawaz Khan were "unduly lenient" and increased them to four years. Perveen Khan only escaped having her jail term raised because of her "uncertain and fluctuating state of mental health" said the judge, who was sitting with Mr Justice Henriques and Judge John Milford QC. The judge said the trio's victims had been "deceived by promises of attractive wages and working conditions in the UK", but had been "subjected to conditions of neglect, abuse, deprivation and economic exploitation". Restaurant workers would be escorted to Harrogate after being met at the airport and their passports confiscated. The trio had also tried use their control over the workers to make them give untruthful accounts of working conditions in a bid to stave off prosecution. Although of good standing in the local community, the judge said their true characters were "kept hidden by their exploitative conduct towards their victims". Four years was the very least Raza and Shanawaz Khan deserved for their crimes, said the judge.